“After having my first son, I was very self conscious of my body. I was at 131 pounds, and just couldn’t seem to lose those last 11 pounds to be back at my pre-pregnancy weight. That’s when I decided to join Team Beachbody. 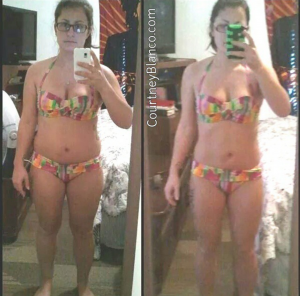 With the help of my coach Courtney, Focus T25, and shakeology, I not only lost those last 11 pounds but more. After 10 weeks, I was at 116.4 pounds! 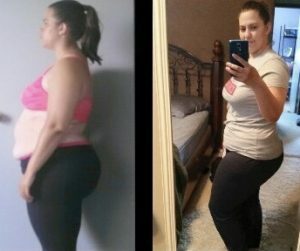 14.6 pounds lost total! I didn’t think it was possible to lose all my baby weight plus more in 10 weeks, but Beachbody proved me wrong! I am now more energized, healthy, and confident with my body. Thanks Beachbody and thank you to my coach Courtney for being there for me throughout my weight loss journey!” ~Lauren A. “I started drinking Shakeology in 2013 for lunch daily at my desk job, when I was 60 yrs old. Besides eating healthier (Shakeology instead of Burger King) and seeing improved energy levels, I noticed a further benefit on my biometric screenings. I started 2013 with a BMI of 24.07 (borderline overweight), with high LDL (bad cholesterol) and triglycerides. My HDL, or good cholesterol, was lower than optimal as well. 2014 was a stressful year, with both my wife and son having major surgeries. I was still able to lose fat mass, lower my bad cholesterol and raise my good cholesterol. By 2015 I had lost 7lbs, got off my blood pressure medication, increased my good cholesterol 12 points, and lowered my total cholesterol 28 points, bad cholesterol 29 points, and triglycerides 52 points! !” ~Chris C.